Who’s Building Your Car These Days? It is amazing how global the automotive industry has become over the years as we have watched prices of vehicles skyrocket. Isn’t the idea that if you manufacturer something in another country you should be paying less? We’ve seen that with calculators, computers and digital watches, but apparently not with cell phones and automobiles. 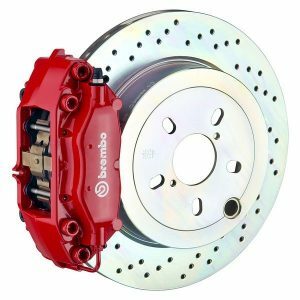 In some ways, the consumer has been hoodwinked into paying way more for less value than what people would expect to be paying for vehicles today that are being outsourced to other countries. Many of the vehicles today are more expensive than what people used to pay for a house or what they can still pay for a house in some parts of the country. Car loans have gone from three and four years to five and six year loans as common and even seven and eight year loans! I have helped people do a five year lease on a used vehicle to get a lower payment, so that they can roll out early based on depreciation, which is still better than an eight year loan. 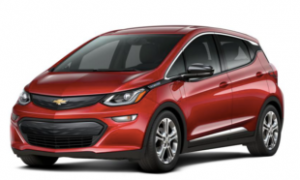 Let’s look at the new 2017 Chevy Bolt for example and who has been involved in creating this new vehicle. According to Wikipedia the Chevy Bolt was created in conjunction with LG. Isn’t LG known for making televisions, washers and dryers? The Chevy Bolt though is an EV (electric vehicle), which other than the batteries may have a motor that could last 20 years like your electric dryer. 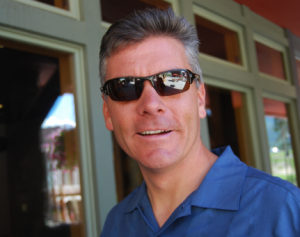 If you have read CoolCarGuy.com for any length of time you know that I believe the electric vehicle is the ultimate in planned obsolescence. I love the awards many of these new technology electric vehicles get too. I’m not sure that many of us have ever even heard of some of these awards, but they sound really good. Call me a skeptic, but when I sold windsurfers back in the mid 1980’s and computers back in the early 1990’s I remember the magazines giving awards to the companies that I was selling for numerous times because they were huge advertisers with the magazines. Of course, I’m not saying this has happened here, but I take awards in the automotive industry with a grain of salt. Getting back to who is building your car today though, if we read a little further about the Chevy Bolt we discover that not only is LG in South Korea involved in manufacturing the motor, battery and drive unit, but the former car company Daewoo was involved in the design of the vehicle. 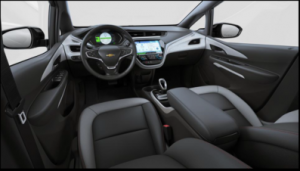 The only thing that is Chevrolet about the Bolt is the brand name and that it is being assembled in Detroit, Michigan. I don’t know if this is a great vehicle or not since I haven’t driven one yet, but I find it fascinating that this vehicle has an MSRP of $37,495 for an all electric vehicle. If you subtract a federal tax credit to encourage people to buy electric vehicles than the price drops to $29,995 for the MSRP. The reasoning behind this vehicle is to avoid paying for gas and that most people are only driving about 40 miles a day, but you have to spend a ton in fuel to justify the cost. It is still going to be a pretty good seller for Chevrolet I’m sure with the increased interest in electric vehicles and all of those award that it’s received – lol. 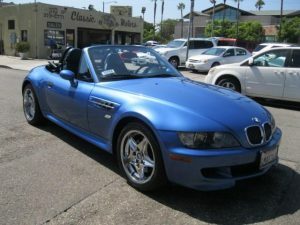 You could get a 2000 BMW Z3 similar to this one (I’m not selling this one, just showing an example) that I spotted through the Manheim dealer auction that gets great gas mileage and has about 77,000 miles for less than half the price of a 2017 Chevy Bolt. I would take an older BMW hands down personally, but I recognize they are not in the same category. My point is that there are some great used vehicles out there that you don’t have to spend $30,000 on with a tax credit to get a cool car. I’m not trying to pick on the 2017 Chevy Bolt in this article, although it probably seems that way, but I am really just trying to make the point about who’s really making your vehicle. The fact is that so many vehicles are being outsourced today by all of the manufacturers that you really have to do some research to find out who’s designing, manufacturing, assembling and building your vehicle before you plunk down your cash. Maybe you don’t really care either? After all, Chrysler Jeep is owned by Fiat, Mercedes Benz for a while owned Chrysler, so if you own an older Chrysler it could very well have some Mercedes Benz technology in it. Ford owns Mazda and used to own Land Rover and Jaguar that are now owned by Tata Motors out of India. Some of the Land Rovers were a disaster for repairs, while Ford owned them. Nissan is owned by Renault and we’ve seen a number of changes in those vehicles over the years compared to when they were strictly Japanese and the old Datsun brand. We’ve all seen the issue of recalls with airbags over the past year with a number of manufacturers. Vehicles are costing more money, but are people really getting more bang for their buck? I think it depends on the vehicle, even the vehicle within the same manufacturer. Which is why it’s important to do some homework before you purchase an expensive vehicle and know what you’re really getting. It’s one of the reasons why many people contact me about getting older cool cars, like that BMW and customizing them with navigation, upgrading the interiors and modernizing them with newer technology. They can often do this for far less than what they are going to pay for a new vehicle that at times feels more like they should have a “made in China” sticker on them. 2008 BMW M5 Sedan – Consignment SOLD! 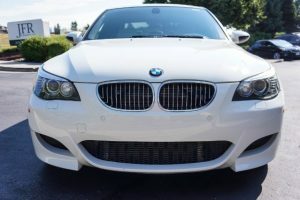 Recently, I listed a really cool 2008 BMW M5 sedan on consignment for a client and I decided to feature it here at CoolCarGuy.com and put some photos of it online. I had to feature this vehicle because most car enthusiasts are familiar with this vehicle and it’s 500hp V10 power plant under the hood. This is a really cool vehicle and it’s pretty much stock from BMW other than the exhaust that he did an upgrade on. The exhaust was done at BDM Performance Exhaust and my client had them put Magna flows on and change out the tips to single oval shapes to match the contour the rear bumper, which gives is a slick look from the backend. 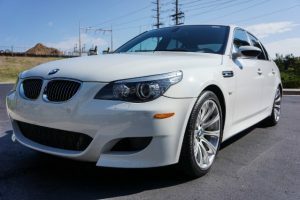 The 2008 BMW M5 had an original base MSRP of $86,675 according to Edmunds.com and a 1/4 mile track time of 12.8 seconds at 115.1 mph and it took 4.5 seconds to get from 0 to 60 mph. As I mentioned it has 500hop and 383 ft lb of torque. This bad boy will get up and go, but the M5 doesn’t really feel like a fast car, which is the beauty of it. It’s more of a sleeper where people believe it’s just another 5 series sedan, but it’s actually a monster on the highway. The E60 M5 was the world’s first production sedan to feature a V10 gasoline engine. At the time the M5 was released to the public it was the fastest 4-door production sedan in the world, which you would probably suspect it to be. It had a five year run from 2005 to 2010. 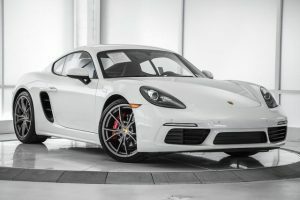 If you’re looking for a fun pre-owned vehicle in this $30,000 price range this is a fantastic car to consider and I don’t expect it to last long. 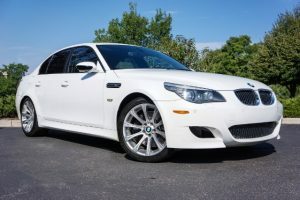 If you are looking for a fast BMW with plenty of room for five people, amazing horsepower and speed look no further than this nice BMW M5 sedan. Last year I sold a 2005 Pontiac GTO for a client, Rob, that he had placed on consignment with me. He was in Russia at the time, doing some work and needed to sell it, so I helped him sell his vehicle as I’ve helped hundreds of people do over the years. I got an email from him back in September that after several years in Russia, the company he was working for was transferring him to North Dakota. Russia and North Dakota have the same type of climate, so someone at his company must have a sense of humor. He said he was going to a place in the middle of nowhere in North Dakota – it’s a big State. 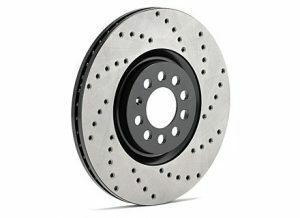 He wanted something fun to drive on those long road trips and that was also reliable. He decided on a BMW – “The Ultimate Driving Machine”. He asked me to help him get his new vehicle and he was kicking around between the BMW 135i or the 335i with Xdrive, formerly known as the 335xi. We landed on the latter and I tracked him down the exact vehicle that he wanted with all the features he was going to need for living in North Dakota. He only had about a week to get his vehicle before he was off to North Dakota and he wanted the window tinting done and a clear bra, but I got it all wrapped up for him within his deadline. 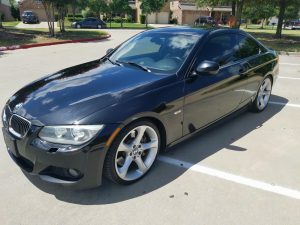 Here are some pics of the BMW with the tint. Let me know if you want bigger versions of the pics for your website. The car is awesome and a blast to drive. Very happy with it. No snow yet here in North Dakota, but it is cold. So the heated seats and steering wheel get used all the time. Thanks again for doing a great job helping me find the BMW. Nice job Rob! Glad you love it and it’s keeping you warm. 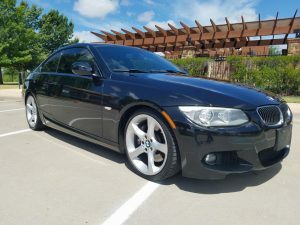 His BMW 335i is probably my favorite production vehicle with the twin-turbos and you can’t argue with the great looking lines of this car that so many car companies want and try to duplicate. It’s definitely a blast to drive! I can’t say that about every BMW, but the 328i with the straight six cylinder and the 335i with twin turbos rock! The Xdrive is an added bonus giving them all-wheel-drive handling and great performance in all driving conditions. I was at the car wash last week and while I was there I spotted this sweet 2009 BMW X6 that had come through the wash and was being dried off. I couldn’t help but ask the owner, who’s name was Char (I’m assuming that she spelled her name kind of like Cher only with an a instead of an e), if I could take a few photos of her ride. She said she didn’t mind and she told me that she had owned six BMW’s and this was her favorite one of the bunch. If you’re not familiar with this vehicle, let me share with you a little bit about it. The BMW X6 was based closely on the popular X6 Concept vehicle. BMW launched the X6 coupe-crossover for the 2009 model year, but don’t be fooled because it’s really a sedan on steroids. They have called it a “Sport Activity Coupe”, which is really the first of its kind. It’s for people who want the functionality of an SUV, but like the performance and styling of a sedan. Along with the wild exterior comes an all-new twin-turbo V8 that will find its way into other new BMWs in the coming years. It’s not just any twin-turbo, but one that delivers 300hp in the X6 xDrive35i and 400hp in the xDrive50i. 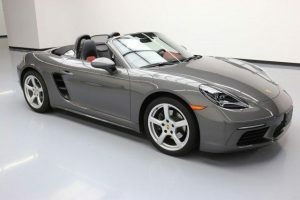 This ride fetches $55,900 and $66,650 respectively, depending on how the model is fully equipped. Each of these vehicles get around 18 – 20 mpg on the highway. So, you can get performance with gas mileage that is similar to an SUV, but how many SUV’s do you know with a twin-turbo 4.4l V8 and 407hp at 5,500 RPM’s? Talk about a cool car that drives like a road worthy rocket ship that will go from 0 to 62 mph in about 5.4 seconds. Even the xDrive35i has a twin-turbo 3.0 V6 with 307hp is a fantastic option and plenty of performance for most drivers. BMW is the first automaker to bring such an SUV to market, but I’m sure other automakers will be planning similar coupe-like utility vehicles as more people spot these on the road. Land Rover recently unveiled its LRX coupe-crossover concept that looks interesting, but it’s hard to beat the BMW for all around quality and performance at a great price. If there is one shortfall of this vehicle it’s that it only seats four people instead of five like the X5 model. However, the rear seating is on the same level as the front seating with incredible amenities in the vehicle. 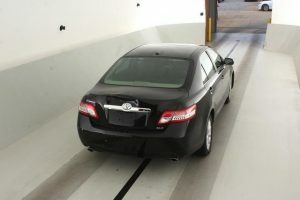 This includes Google to car features that allow you to send a map to the car from Google through your computer, along with sport and steptronic manual shift modes, and steering wheel-mounted paddle shifters to name just a few. You get luxury with fantastic performance and just an all-around very cool vehicle for Colorado or any location with a change of Seasons. I delivered some pretty cool cars in December of 2006 to clients, including this sweet, low mileage and hard to find, red BMW X5 4.8is just in time for Christmas. This car is really cool, super fast and a blast to drive. The X5 is based on the mid-size 5-Series sedan platform with the X5 being the larger of BMW’s two Sports Activity Vehicles or SAVs. The X3 is based on the smaller 3-Series platform and I delivered several of those vehicles as well this past year, but the X5 is the “Mac Daddy” of the two BMW’s. 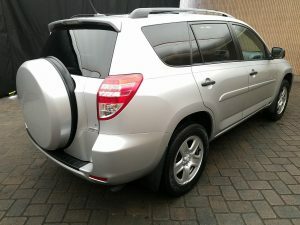 In 2005, this vehicle had a base MSRP of $68,800 and I’ve seen them loaded for as much as $96,500! This baby had it all, including the $1,800 Navigation option, which is always a nice feature on a high-end vehicle. 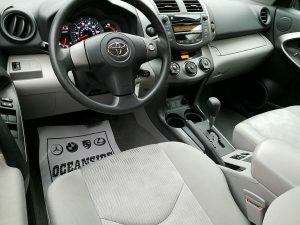 Standard features on the 4.8is in 2005 were a 6-speed automatic transmission, digital compass mirror, panorama moon roof, rear door window sun blinds, ski bag, heated rear seats, park distance control, rain sensor, adaptive headlights, and a premium sound system. There were dozens of other features and amenities on this baby – it lacks nothing! 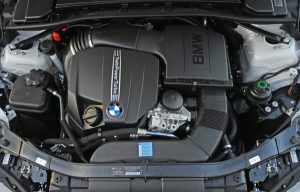 Under the hood in this X5 is a 4.8-litre, 355-hp, 32-valve, V-8 engine making 369 lb-ft of torque at 3,500 rpm. Valve lift is controlled by the Valvetronic system eliminating the need for a throttle butterfly. Electronically controlled valve timing is done through the Double-VANOS system, flattening the torque curve, minimizing fuel consumption and reducing emissions. This is one of the reasons why the 4.4 and 4.8 litre engines are as good on gas mileage as the smaller 3.0 liter without having to sacrifice performance. 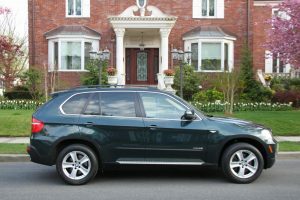 In 2007, BMW has eliminated the 4.4 and is only offering the X5 in the 3.0 liter and the 4.8 liter engines. The new owners will need to make sure that they use Premium fuel in the 24.3-gallon tank that will give them about a 400-mile range, but that shouldn’t matter. Not when you can go from 0 to 60 in about 5.9 seconds, which is almost as fast as my 2007 Subaru Impreza WRX and the X5 has a top speed that is listed at 153 mph. The X5 4.8is gets between 16 and 21 mpg, which means that they should average around 18.5 mpg and that’s pretty darn good for a vehicle of this size. 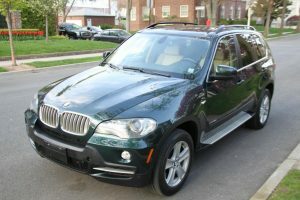 Bottom line on the 2005 BMW X5 4.8is is that it’s an extremely cool car.